The Regina Pats Hockey Club is excited to celebrate its 100th Anniversary Season in 2017-18. Over each of the 10 months from August to May, the club will feature every decade of Pats hockey. For the second edition, 1927-1936. The Pats and the Falcons joined forces to become the Monarchs. The Regina Monarchs went on to win the Memorial Cup. The Pats were joined in league play by the Regina Argos (coached by Pere Athol Murray) and the Moose Jaw Maroons. On Friday, January 25, the Moose Jaw Maroons withdrew from the league due to lack of support by the players. The Pats and Argos finished the schedule against each other. The Pats didn’t lose a game going 6-0 outscoring the opposition 28-8 in the process. In the southern final the Pats played the Weyburn Wanderers winning the first game 8-3. Weyburn protested the game saying the Pats used three players who were ineligible and one that was over age. The protest was upheld and the game was thrown out. Regina Pats’ Gordon Pettinger, Mike Ursaki and Art Dowie were barred from further competition that season. When they replayed game one the Pats only had 6 players so they brought in 3 juveniles to round out the squad. The Pats were still able to pick up a 6-1 win. 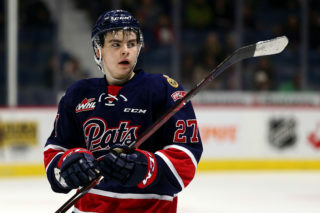 Three days later it was reported that the Regina Pats were awarded the championship because the original protest was thrown out and the four players in question were deemed to be eligible. 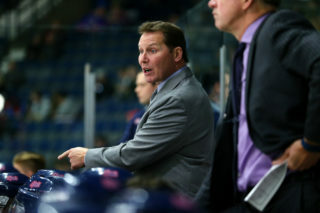 Believing the decision had been reversed in the Weyburn protest, Regina Pats officials were surprised when they were instructed to proceed to Weyburn that afternoon for game two. The series had been restarted and despite the protest being thrown out, another game had to be played. In the short time available, Pats unable to round up their complete line up. With only six players: Alex Wood (G), Harvey Dodge, Lorne Stephens, Harvey Willis, Ab Holt and Art Sihvon, the Regina Pats handed the Weyburn club an 8-1 beating, taking the two game series 14-2. The Saskatchewan Final was played against the Saskatoon Wesleys. Game one was held in Saskatoon where the Wesleys struck first and carried a 2-0 lead into the third. The Pats came back scoring 2 in the third tying the game 2-2 sending the series back to Regina even. In game 2 the Wesleys got an early lead but the Pats stormed back winning the game 3-1 and the series 5-3. In the Western Canada Semi-Final, the Pats hosted the Calgary Canadians in game one and played to a 2 all draw. Game two was moved to Winnipeg due to bad ice. Costly penalties did the Pats in, falling 5-0 in game 2 and 7-2 in the round. The Argos folded and numerous players from that club: goaltender Ken Campbell, defenceman Joe Dutkowski, forwards Clarence Acaster, Len Rae, Ed Wiseman, Ken Moore and Dave Gilhooley joined the Pats. The league consisted of just the Pats and Olympics. Only 3 of the six games scheduled were played, the Pats won all 3 by a combined total of 10-1. The Pats received a bye into the Provincial Playoffs where they faced a tough northern foe from Wilkie. The Pats were missing two mainstays and a couple of others were nursing injuries but the Pats battled the Outlaws and sticky ice and won the first game 4-0. Four day later the Pats travelled to Wilkie and battling bad ice prevailed again 2-1. The Pats were Provincial Champions with a 6-1 series win. The rest of the playoffs were played at the Winnipeg Shea Amphitheatre. The Pats went on to play the Calgary Canadians in the Western Canada Semi-Final. In the defensive showdown, the Pats won the first game 2-0. Game two was a similar affair but the Pats were able to dent the twine 4 times in a 4-0 final, winning the series 6-0. In the Western Canada Final, the Pats played the Winnipeg Elmwood Millionaires. In another low scoring affair, the Pats were victors 3-0 in game one. Two days later in front of roughly 5.000 spectators the Pats dumped the Millionaires 5-0 and won the round 8-0. The Memorial Cup was another low scoring contest the Pats won game one 3-1. The West Toronto Nationals didn’t score until the 7:50 mark of the third period finally breaking Ken Campbell’s shutout streak. Two days later the Pats rallied to win game 2 by a score of 3-2. Ken Moore scored the game winner for the Pats with just 40 seconds left in the game. The Pats were Memorial Cup Champions. Welcomed back home from the scene of their history-making hockey battles—the city of Winnipeg—in a manner befitting a junior team of the caliber such as they are. Al Ritchie and his Regina Pats, newly crowned Dominion champions and holders of the Abbott, Corbeau and Memorial Cups for 1930, are today receiving congratulations from eager Queen City admirers. When the youngsters, who just two nights previous had annexed the highest honor possible in amateur hockey in Canada, stepped off the C.P.R. rattler at 5:35 last night, they were greeted by the biggest throng ever to assemble to pay homage to a hockey team in this city. The Pats were joined by two other Regina Teams in the league this season, the Canadians and Trojans. The Pats won all four of their games, outscoring the opponents 13-3 in the process. In the Southern Saskatchewan Final, the Pats played the Cubs from Moose Jaw. The hometown Moose Jaw club could keep up with the Pats but didn’t have the ability to score and the Pats won game one 5-0. Game 2 was in Regina and while being outplayed by Moose Jaw for a majority of the contest the Pats won 3-0 and the series 8-0. In the Provincial final, the Pats played the Wesleys out of Saskatoon. 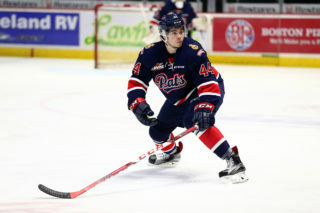 Game one was in Saskatoon and the Pats scored the lone goal in the second period and skated away with a 1-0 win. Game two was played in Regina 2 nights later and after a grueling battle the game ended in a scoreless tie. The Pats won the round 1-0. 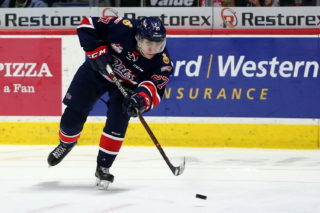 In the Western Canada Semi-final, the Pats faced the Calgary Canadians. Claiming Pats goalie Ken Campbell’s pads to be eleven inches, one inch wider than the regulation, Calgary Coach Eddie Poulin refused to send his team on the ice until the pads had been reduced. They made Campbell whittle an inch off each of his goal pads before the start of the game. The starting face-off was delayed half an hour. It didn’t make any difference as he turned aside everything that the Calgary Canadians directed his way. The Pats won game one 4-0. Game two wasn’t delayed and Campbell picked up his 6th straight shutout in a rough game in which the Pats won 1-0 taking the series 5-0. In the Western Canada Final, the Pats faced the local Winnipeg Elmwood Millionaires. From the Leader-Post: “Campbell was the player who “hogged” most of the limelight. No matter how hot the attack, he was cool and smothered and kicked out every drive that was launched by the frantic Millionaires, and the attacks were numerous. Campbell kept his citadel safe, even when the Millionaires broke through and bombarded him with rubber. The brilliant goalie had the time of his life and laughed at the Millionaire sharpshooters’ efforts, which, under ordinary conditions would have produced goals.” The Pats won game one, 1-0. Game two was scoreless through two periods of play. The Pats took a 1-0 lead 2:30 into the third period but the Winnipeg team came back to take a 2-1 lead after regulation. As the series was tied they needed overtime. 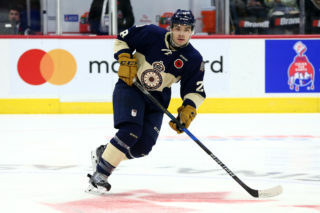 Both teams scored in the overtime sending the game into double overtime in which the Winnipeg club scored the lone goal and won the game 4-2 and the series 4-3. Once again, the league consisted of three Regina teams, the Pats, Monarchs and the Canadians. The Pats breezed through league play going 4-0, they scored 16 times and didn’t surrender a goal. In the league final, the Pats swamped the Monarchs 7-0 in game one. Game two was played some 8 days later and the result was much the same as the Pats won 9-0 and the round 16-0. The southern final had the Pats against the Moose Jaw Cubs. Game one was played in Moose Jaw and guess what? Another shutout. The Pats won the game 1-0. Game two was decided 2 days later. The Pats recorded yet another shutout, a 3-0 blanking of the Cubs and a 4-0 round win. In the provincial final, the Pats faced the Saskatoon Wesleys. Saskatoon came to town and were able to gain a 2-2 draw in game 1. Game 2 was in Saskatoon and the Wesleys scored the lone goal in the opening minutes from centre ice. Saskatoon held on to take the victory and bump the Pats out of the playoffs by a 3-2 score in the series. This year the league consisted of three Regina teams, the Pats, Maple Leafs and the Canadians. The Pats went 4 and oh, outscoring the opposition 17-5. The Pats played the Maple Leafs in the league final. The Pats won both games by shutouts (2-0 & 5-0) and the round 7-0. In the southern semi-final, the Pats foe was the Moose Jaw Cubs. The Pats shut the Cubs out in both games (1-0 & 4-0) taking the round 5-0. The Pats moved on to the southern final to face the Yorkton Juniors. The Pats again held the opponent scoreless for the round, winning the games 6-0 and 5-0. In the provincial final, the Pats faced off with the Saskatoon Tigers. Game one was played to a 1-1 draw. Game two was yet another shutout for the Pats in a 5-0 final. The Pats won the round 6-1. The Pats next test was against the Calgary Jimmies in the Western Canada semi-final. The Pats were able to get out to a 2-0 lead on the heavy hard-hitting Calgary club and held on for a 3-1 win in game one. Game two was a different story, the Calgary team scored 2 goals in the third period to tie the series up. Overtime was needed and the Pats scored the lone goal, the Pats lost game two 2-1 but won the series 4-3. The Brandon Native Sons were the Pats next opponent in the Western Canada Final. Game one ended in a scoreless tie. Brandon took a 1-0 lead into the third period on game two but the Pats were able to answer with less than 3 minutes left to tie the contest up at 1. The teams played three 10-minute scoreless overtime periods. A third game was needed in this final in which the Pats scored twice in the second and held on to win 2-1 to move into the Memorial Cup Final. The Memorial Cup final was against the Newmarket Redmen. Played in Toronto’s Maple Leaf Gardens the Pats fell 2-1 in the first game of the best of 3 final series. Game two went to three overtime periods and it wasn’t until the last minutes of that third overtime where Newmarket scored the winning goal with the Pats short two players. Newmarket won the game 2-1 and took the final 2 games to 0. The only teams that played in the league were the Pats and the Moose Jaw Canucks. The Pats went 3 and oh, outscoring the Canucks 12-0 in the process. In the southern final, played in Weyburn the Pats face the Notre Dame College. The Pats skated away with a 6-2 win in game one and a 10-2 win in game two. The Pats won the round 16-4. In the Provincial final, the Pats played the Saskatoon Wesleys. Game one was played in Regina and ended in a 4-4 deadlock. Game two was back in Saskatoon and was 0-0 through regulation. The teams played three 10-minute overtime periods in which neither team could score a winner. The teams re-played the series, this time starting in Saskatoon. The Wesleys took game one 3-1. With a two-goal lead in the series the Wesleys took game two 3-1 and the series 6-2 winning the provincial title. The Pats wouldn’t play another game until the 1946-47 season.